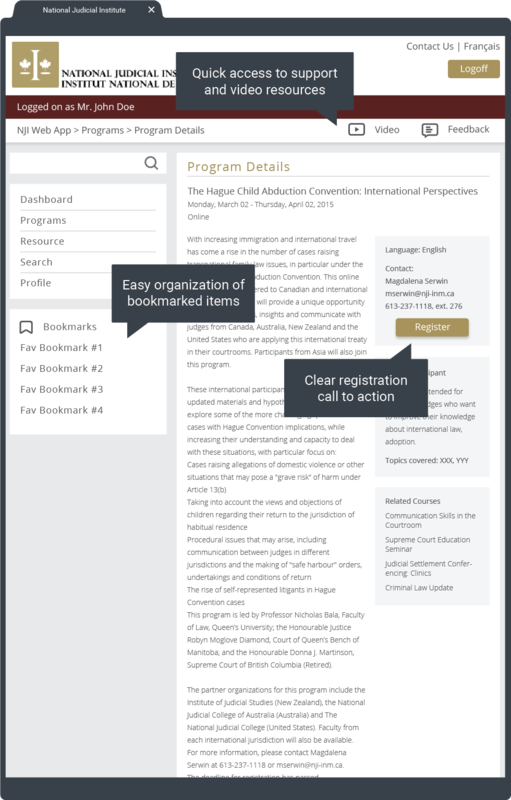 The National Judicial Institute (NJI) has a mandate to provide development and training services to provincial and federally appointed judges across Canada. 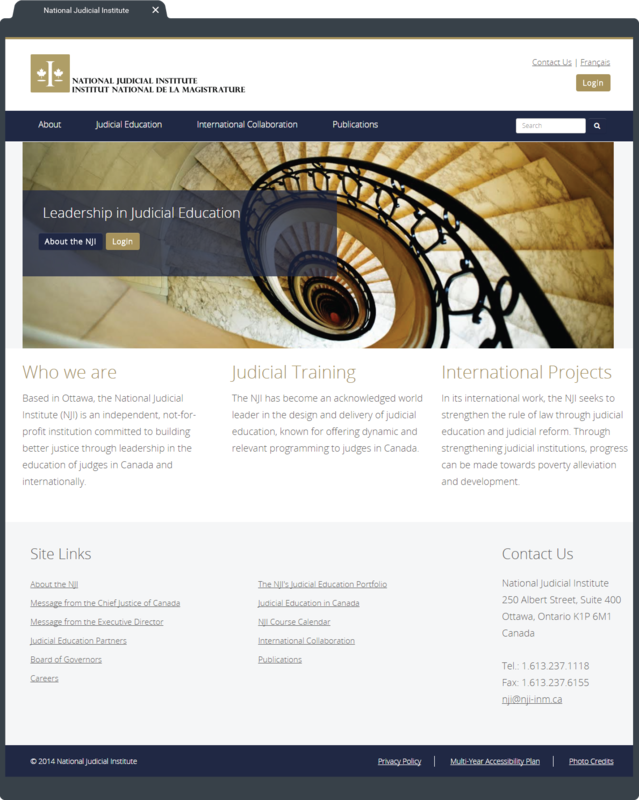 NJI sought to redesign their website for improved usability and engagement across all devices (including mobile/tablets). 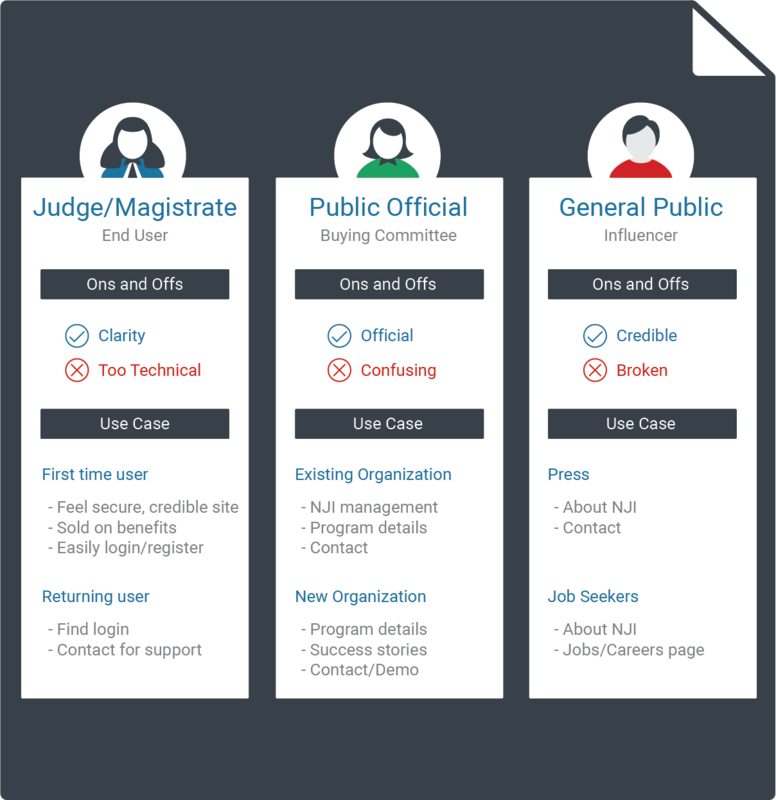 NJI also wanted to improve the user experience, presentation and level-of-utilization of its web application that functions as a Learning Management System (LMS). We first started with a discovery process by interviewing of stakeholders, reviewing peer sites,and datamining analytics. 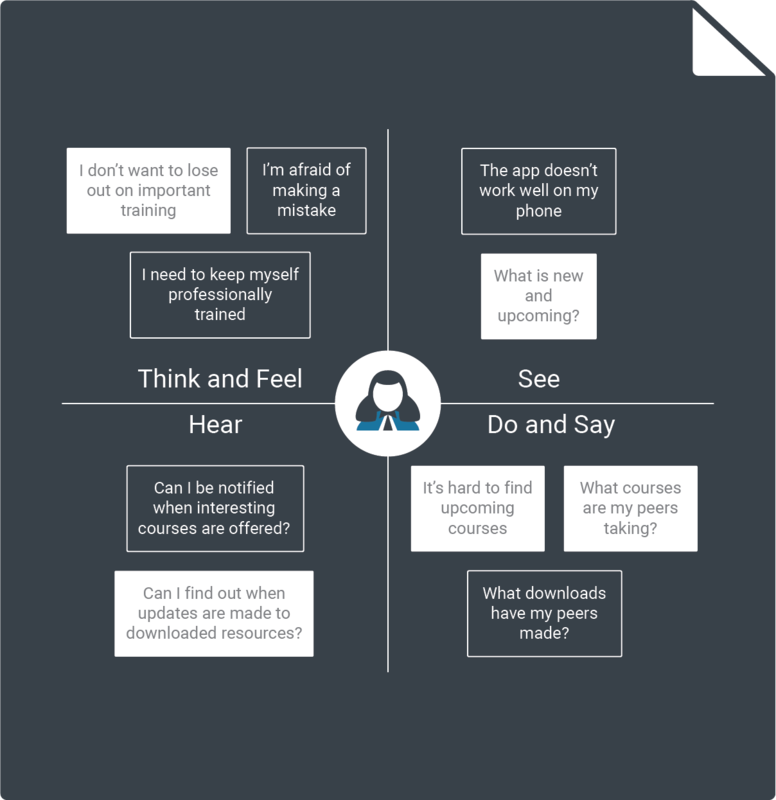 This helped define the target audience and their motivations in using the application. The results were condensed into a few areas of focus that lead to a development plan. 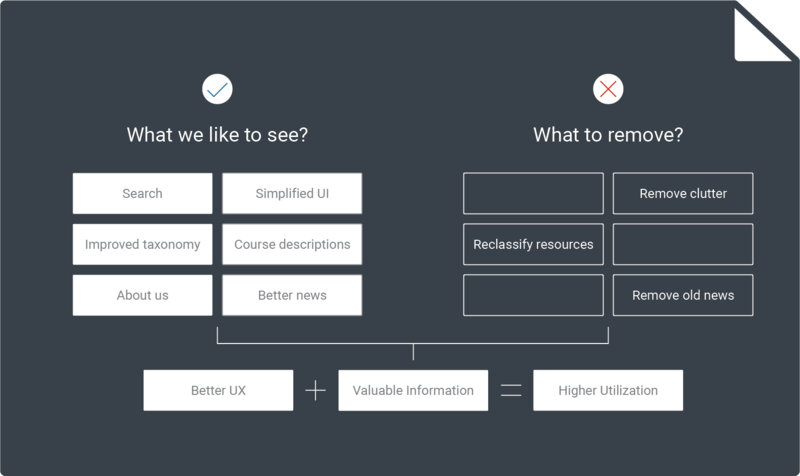 Based on the plan, wireframes were created to address specific user needs. 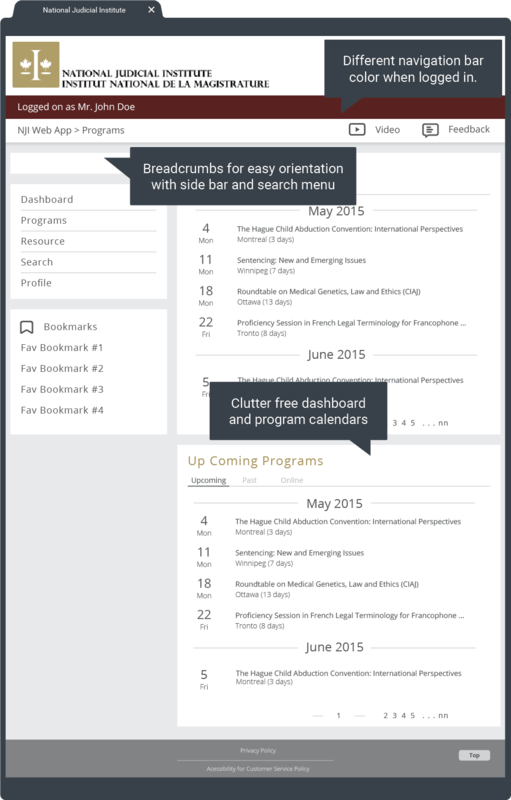 After a few refinements, the final design was converted into fully functional website and web application for NJI. The result is highly interactive, beautiful and response web presence for NJI.